It's the 5th of the month and that means it's reveal day at My Creative Scrapbook! It's the day when I not only get to reveal the kit I worked with, but I start sharing my projects too. The photo above shows this month's creative kit. Here's a look at the first project I created with this kit. I couldn't resist pairing these photos of me by a sign that says, "Please Help Us Grow" with Little Yellow Bicycle's Poppy collection. It's all about springtime, growth and nature. I loved being able to use so much color with my black and white photos. I'll be back next week with more projects from this kit. Have a great weekend! I find the b/w photos work sooo well with the brighter colours like these. Well done!! And the kit looks yummy!! Little Lisa is adorable and so it your page. Love all the pops of color and texture. Beautiful work. Wowwwwwwww! This is gorgeous! LOVING those bright, bold colors and love love love the little birdhouses!! Great kit and I love your page! that kit totally looks awesome and your first layout is awesome!!! love it! What a fun kit, perfect for summer. I love the B&W photo contrast with those fun bright colors. Great layout! 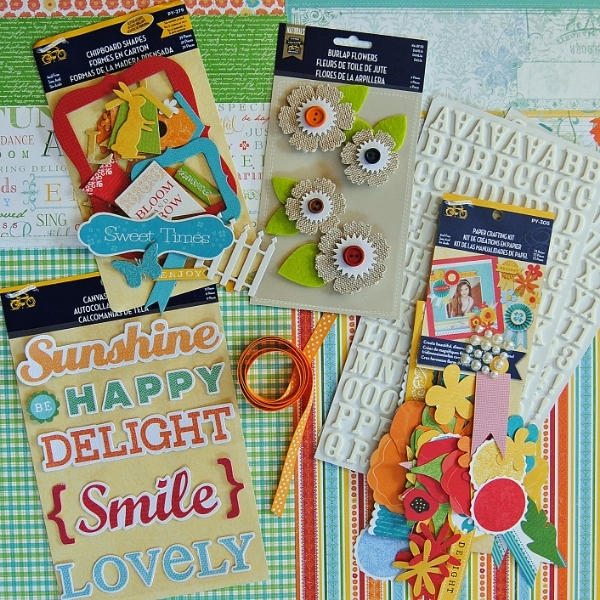 I love the contrast between the photos and the bright colors of the embellishments and the papers. So fun. Wonderful layout! Love the bright colors contrasted with the vintage black and white photos! Love the bright and fun colors, and of course the design rocks. Love the b&w photos with it. A very cool mix. Wow! 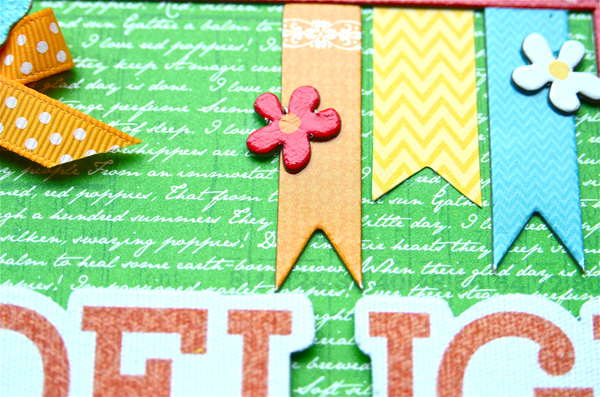 I love how you embellished the embellishments to work for your layout! This is a great example of how to use kits. So colorful and fun. It definitely says spring! What a pretty, colorful layout! Too cute Lisa!! Love those b&w photos with all of the bright colors! such cute pictures:) The pearls scattered around, the little rabbit, birdhouses...I love all the little accents! Great page - I love all the bright colors and fun embellies. This just screams happy! so colorful!! Fabulous layout! I love the black and white photos against all those fun colors!